Maggie Osbourne has done it again! This historical romance has twelve mail order brides from Chastity, Missouri, embark on a journey to find their husbands in Clampet Falls, Oregon. The wagon master, Cody Snow, is doing his best to keep them healthy and safe as they travel across the western expanse, however, the perils are many. Each of the women has their own unique qualities, but Snow is especially interested in Perrin Waverly. Perrin is in charge of the women and finds it difficult to earn their trust due to her past. 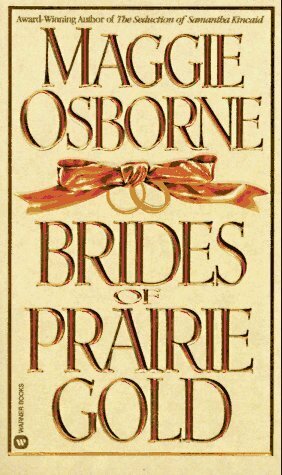 Sign into Goodreads to see if any of your friends have read Brides of Prairie Gold.